Date Copyright dates vary from 1945 - 1956. Comments NT ends on page 645; tables end on page 670. This edition adds the publisher's name to the title page. 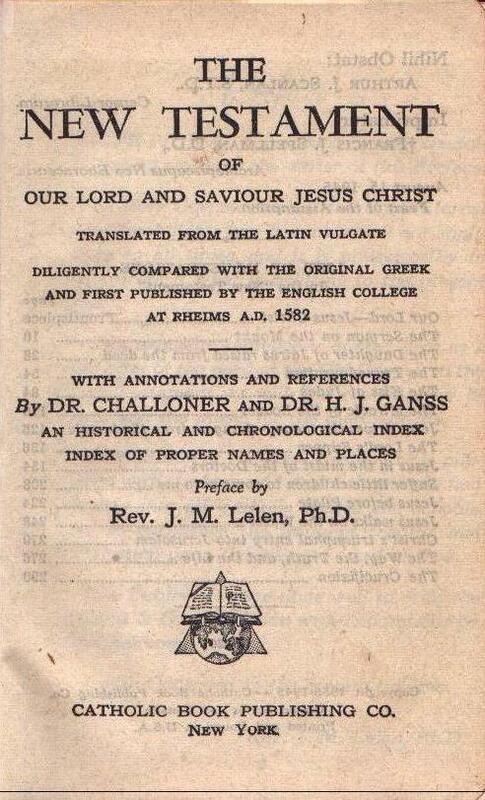 Some copies add a 352 page edition of The Following of Christ.